What if I did not Have a Successful Board Interview? A successful board interview is an exercise in providing a succinct but powerful response that evidences your success. But it often happens that a good candidate simply messes up the interview. People mess up interviews for a variety of reasons but primarily because they are underprepared. If you haven’t heard me say it already – preparation is absolutely key. Perhaps the biggest interview mistake is that candidates often speak too much. Either because they are nervous or because they think they won’t get appointed unless they tell the interviewer everything they have done that might be relevant. You will know if this is you, and you are talking too much when the interviewer stops writing notes and puts their pen down. At this point just stop talking! Other poor interview techniques include a candidate assuming people have memorized the content of their CV and then not providing the details that are required for a full answer. This is not uncommon and results in the candidate seeming aloof or arrogant. 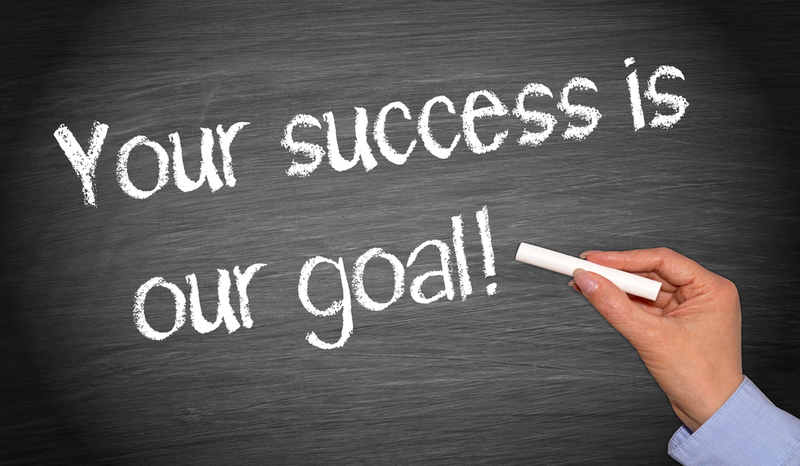 Make sure you provide examples of what you have done and why it was successful. 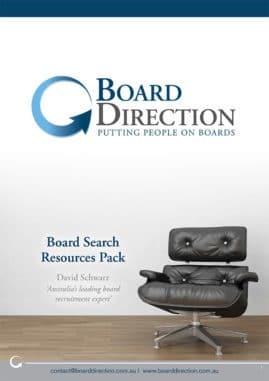 To have a successful board interview you need to come across as informed and engaged. There are a huge number of personal traits, bad posture or poor clothing choices that can negatively influence the outcome of an interview. Many might say that this should not matter. However, if you consider how important reputation is for both the Chair and the recruiting individual/organisation, you will understand why I point this out. If your clothing does not reflect positively, then you risk the reputation of those who might appoint you. If this is the case, they simply can’t recommend you to be appointed and a successful board interview will be impossible. If you are concerned about this, I highly recommend you conduct a mock interview with a professional who is not afraid of giving you their honest feedback. If you put all I have suggested in my last couple of articles into practice, then it is likely that you will have a successful board interview and get appointed. But sometimes you don’t – it just may be that there is a better candidate in the mix and you miss out. Was all the effort a waste of time? If you don’t get appointed, it is tempting to think that all your work has been for nothing. Let me assure you it has not been wasted effort. After all, the reason you applied for the role was that you were passionate about the cause and thought you could help. All the research you did, all the new connections you made, all the knowledge you gained and (hopefully) the new opportunities that have presented themselves to you, should be evidence enough of the value of your journey. Despite your disappointment about missing out, you should do a couple of things to ensure that you make the most of the journey. For a start, you should request feedback – this can be hard to give so ensure you give people permission to give it to you straight. Otherwise, what is the point? You need to know where you went wrong so you don’t do it again. You should also thank those who helped you along the way and reconnect with them on a regular basis. Reconnecting will allow you to leverage the relationship but also keep you in the loop about future opportunities. I had a successful board interview; what now? If you followed my advice, there is a strong chance that you did get the appointment – congratulations! However, if you do get offered the role, your first response should not necessarily be ‘yes’. Instead, you should do a little more pointed research. You should start by researching the organisation. That means using your offer to expand your connections and to reconnect with those who helped along the way. If you haven’t already, then you need to read the financials. Also, speak with the auditor, the CEO and accountant – ideally separately. Read as many of the past board minutes as possible to understand both current and historic issues. Speak again with their stakeholders if you have any concerns. You might also want to speak with the board and executive to see how they relate. Within this, and importantly, you should have one on one time with the Chair to gauge fit and their appropriateness (in your eyes) in leading the board. Don’t forget to read your T&Cs – know what is expected of both you and the Chair in terms of your role on the board but also time and external responsibilities such as fundraising. Once you are comfortable with what is offered, you can speak about remuneration and the like. Before this, it is a little premature. However, after having a successful board interview and being offered the role, you are in a position of power. With it comes the opportunity to leverage the offer made to you. 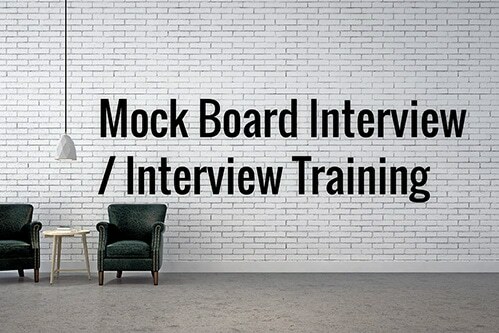 This service offers a full 2-hour mock board interview scenario with David Schwarz – Australia’s leading board recruitment expert and ex-board headhunter who has interviewed thousands of critical feedback. Guaranteed to give you the language confidence you need to ‘dare them not to appoint you’.